Posted on June 11, 2018 by Ryan D.
Today’s Take 5 is all about birdbaths! Many folks are taking advantage of the warm weather this time of year to spruce up their yards; landscaping to attract birds and wildlife is a fun way to make your home more welcoming for both animals and people. 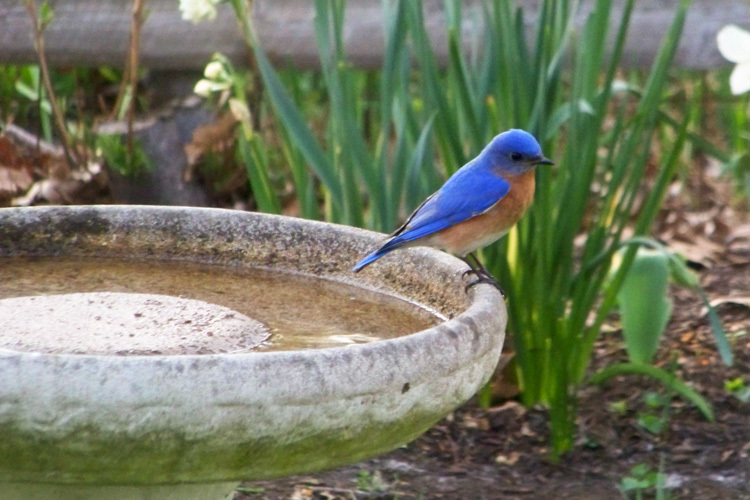 Birdbaths are a great addition to your yard for a variety of reasons: they attract birds to your yard that don’t typically eat seeds (meaning you might not see them visiting your feeders), they provide a supply of fresh water for drinking, bathing, and cooling off in hot weather, and—as you’ll see from some of the photos below—they can also attract a variety of other fascinating wildlife. 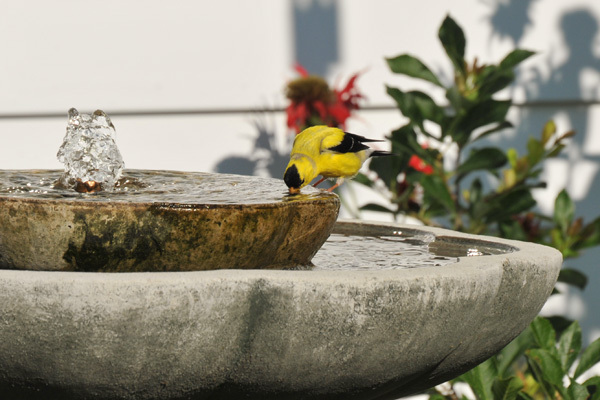 A few things to bear in mind: Most birds prefer water shallower than 2”, so if your birdbath is deeper you can make it more welcoming by adding stones or gravel to the bottom or providing a larger rock or branch to perch on. 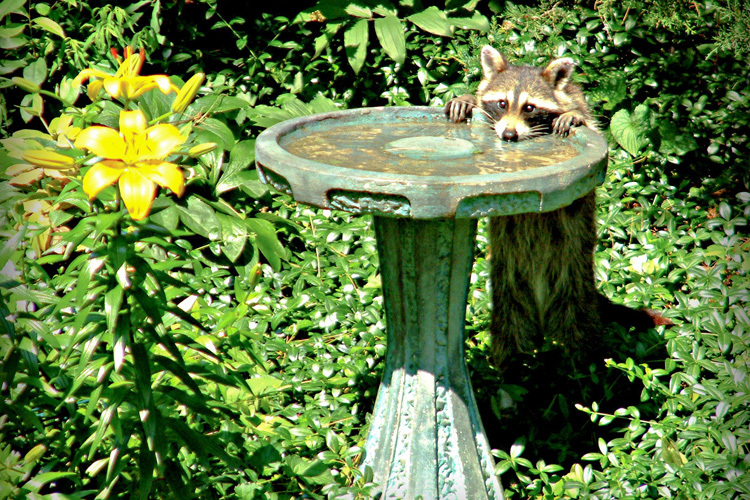 Window collisions are always a concern near buildings, so either place your birdbath well away from windows or close enough so they can’t pick up enough speed to injure themselves should they collide with the glass after taking flight.” Learn more about choosing a good birdbath (or making your own!) on our website. 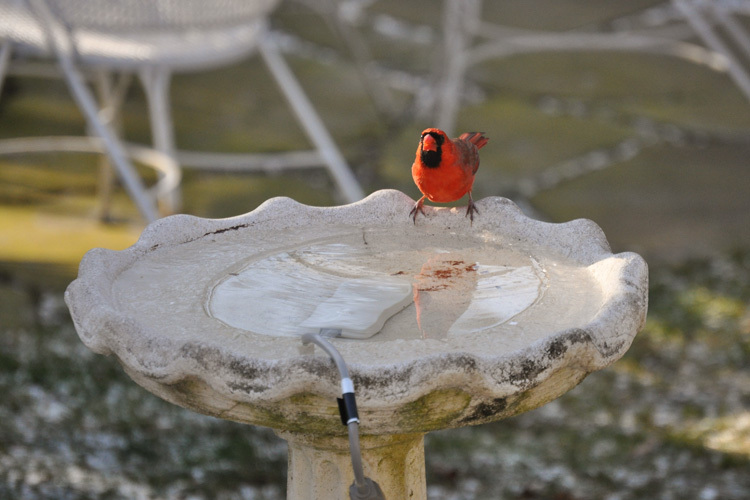 The Cornell Lab of Ornithology has some great information on safe placement of birdbaths and feeders. The five photos below were all submitted to past years of our Picture This: Your Great Outdoors photo contest, which is now open for 2018! Send us your best shots of wildlife, plants, landscapes, and people in nature for consideration. 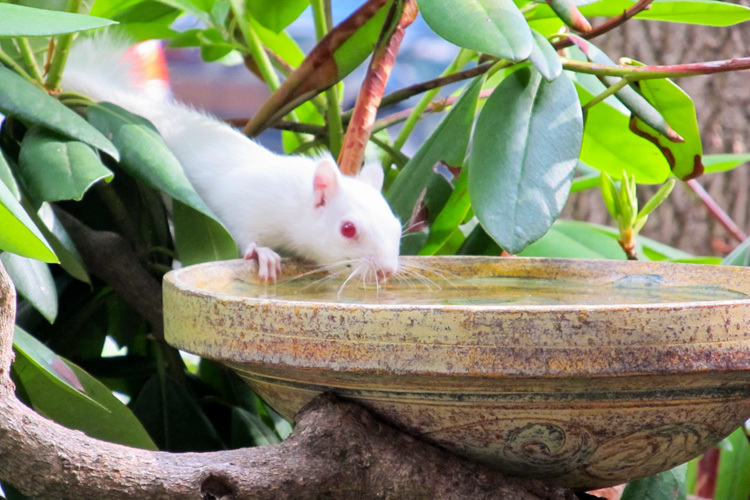 This entry was posted in Take 5 and tagged birdbaths, birds, garden, photo contest, photography on June 11, 2018 by Ryan D..